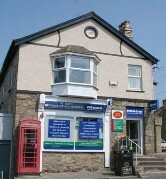 ST ERTH VILLAGE SHOP & POST OFFICE - USE IT OR LOSE IT! The St Erth Shop & Post office is having to consider shutting its doors. Please help us help the village keep the Shop/Cafe and Post Office open. PATHS TO BETTER HEALTH IN ST ERTH! 7pm Tuesday 23 April at St Erth Old School Room. Entrance by donation to include buffet. In order to make adequate arrangements for the buffet please advise Frank Nolan 01736 756179 godrevyteamoffice@gmail.com if you will be attending. All proceeds to St Erth Church Restoration Fund. The annual Easter Egg Hunt will commence at 1pm and the Duck Race at 2pm on Good Friday April 19. Duck boards to sponsor the Duck Race are available in the village shop. Easter Saturday competitions; Decorated Easter Bonnet and Decorated Hens Egg. Classes for adults, primary and secondary children. Entries to be at the market by 10.15am. Saturday April 20: Easter Eve, 8pm Vigil and 1st Eucharist of Easter. 99 Club winners were drawn on Sunday April 14 by George Lawry, the winner was No 7 Linda Knight; second No 50 Peter Pascoe; third No 28 Kathy Tilby Each number costs £1 for the fortnightly draw. For those that like to pay their annual subscriptions the cost is £26.00 per number; currently there are some spare numbers available. If anyone would like to support the church please contact Frank Nolan 01736 756179. This year’s summer outing is to Sidmouth, on Saturday June 22, costing £16 per person. Pick up points; 8.00am Penzance, 8.15am Goldsithney, 8.30pm St Erth and various places throughout Hayle up to about 8.50am. Contact Frank Nolan Tel 01736 756179. The Palm Sunday Service was led by Mrs Irene Tanner with Mrs Pamela Williams the organist. Nicky read from Luke ch.19 v 28-42, the story of Jesus' entry into Jerusalem. Irene explained how Jesus set out for Jerusalem and the events that took place on that journey, he knew His destiny and His disciples followed, they did not understand but trusted and obeyed. We to are all on a journey we may not understand all that happens in our lives and in the world but we trust in God who does know the answers and obey His Spirit as He guides us on this journey. At the close of the service Palm crosses were distributed. Maundy Thursday Tenebrae Service tonight at 7pm, a time to reflect on readings and Holy Communion. Everyone very welcome. Our Easter Sunday Service with Lasers for young people will be led, God willing by Mr P Gibson at 11am. Come and celebrate our living Lord. Tuesday Morning prayers in the Chapel kitchen from 9.15-10am, please come and join us in this prayer time. 'Tea and Toast' follows from 10.30-12 noon with company, conversation and craft. Open to all. The next Messy Church will be on Sunday April 28 from 4-6pm with craft, fun, food and short worship, a great afternoon for all the family. on Tuesday May 7 Chris Quick will give a presentation on Levant Mine. The Club meets in the Old School Room every Tuesday from 2pm to 4pm; it only charges £1.50, which includes tea and biscuits. New members and visitors always welcome. ... we welcome and cater for all. dog and welly friendly so bring the whole family. If you are going on holiday, remember that you can order your currency at St Erth Post Office, with competitive exchange rates and guaranteed next day delivery. Please let the staff know any ideas for goods that the shop should consider selling. It now offers a low cost photocopying service in the shop, and free Wi-Fi to customers of the new tearoom. Please drop in for tea, coffee, soft drinks and cakes and, of course, to do some shopping and support our enterprising village shop. If you don't use it, you'll lose it! Moni and Brian White are the proprietors of our village shop - please do your best to support them "Open All Hours" has nothing on our Shop and Post Office. All you want for your weekly shop IS available. Order the delicious, mouth watering, fresh local meat from R.J Trevarthen, Roskrow, Penryn, and it appears. Ask for the brochure to see the huge variety available and choose the cuts you want. Get your fresh vegetables, grown in local fields. Whether it's rice or lentils, tights or plasters, flowers or Betty Stogs the choice is there. And while you are there use the Post Office too! Why go elsewhere to post a parcel, currency exchange, or just a stamp? Advice is always available on the best services to use. Drop in for a coffee or tea (and treat yourself to a cake), free use of the internet while there, and photocopy those important documents! This is the third important part of St Erth's community shopping. The Market is held every Saturday at the Methodist Hall from 10.00 to 12.00 noon. Local produce are sold which include cakes, flowers, crafts, plants, curries, fresh fish, fresh pork, fresh beef, cards, Jim's bread, Kathy's pasties and other home cooking. 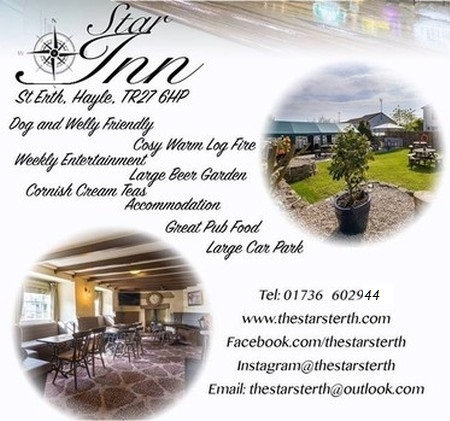 Refreshments are provided by St Erth Organisations on rotation. There are a few vacancies for new stall-holders, enquiries welcome, please contact Marilyn on 757030.